The habit of self-discipline is a fascinating thing. It predicts academic performance more than IQ. It changes our self-confidence. It literally shapes the way our brains develop. Back in 1960, psychologist Walter Mischel conducted the now-famous marshmallow experiment series with preschoolers to see if they would choose the marshmallow immediately or wait 15 minutes to receive an even bigger reward. The initial study was interesting, but what was even more interesting were follow-up studies done in later years. When they hit high school, a sample of the original test group showed that the self-regulated kids performed better on the SAT, were more competent, did fewer drugs, and were more popular. Another study done with brain imaging when they hit mid-life found that over years of making self-regulatory decisions, their brains showed key differences in development as opposed to the kids who ate the marshmallow immediately. I think it is safe to say helping our child develop self-regulatory skills is important and will have lifelong rewards. As our children’s most important mentors, our first chore is to be honest with ourselves and make sure our self-discipline is where it needs to be (something most of us struggle with). And we need to include activities early in our children’s lives that will build self-regulatory strength. 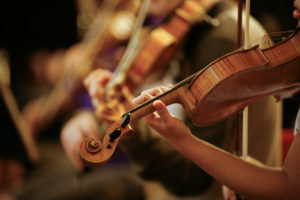 Researchers have suggested that music lessons and sports can be key to helping children learn delayed gratification. As a parent, I figured out long ago that my kids learned more through the slog of discipline than they could in any other way.